Russell Bass lives a solitary life. A potter residing on the edge of Katoomba in the Blue Mountains, he is slowly learning to live without his wife, who passed less than a year ago. His life has become one of routine, the mountains serving as both a shelter and a shield, protecting him from the outside world, allowing him peace, stillness, quiet. Once a month, Russell ventures into the valley below his house to collect rock to use for glazes from a remote creek bed. He knows the path well, is familiar with the twists, turns, shrubbery. Much like his routine, the track seldom changes – except for one day, when Russell stumbles upon a chocolate wrapper deposited on the path. 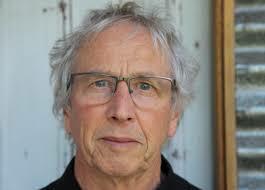 Curious and taken aback by this small change, Russell begins to investigate. His curiosity leads him to a cave where three siblings – two young children and a teenage girl – are staying indefinitely, seeking refuge from social services and the police. 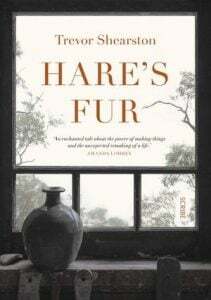 *Hare’s Fur is a luminous tale of grief, kindness, and art, and the things that we create, both with our hands and through trust. The book is a sensory delight – detailed descriptions of the pottery are so visceral and vivid that you can almost imagine the clay on your own skin. The same can be said for the description of the mountains; the critically acclaimed Shearston who has been nominated for a string of prestigious literary awards, breathes life into the landscape with his words, transporting readers to a mountainous haven – the perfect escape. Readers who enjoy stories that feature strong character development and relationships – with a touch of the unexpected – will thoroughly enjoy the bond that develops over time between Russell and the three children; the things they learn from one another, the challenges they face, and the healing that they offer. The story is a reminder that, above all else, what we need most as humans is connection, and that it is through these connections that we are able to grow and develop as individuals. 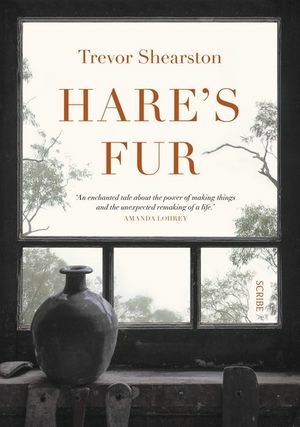 If you are in desperate need of a getaway but don’t quite have the time, then look no further – Hare’s Fur is a soothing, deeply satisfying weekend escape that you can enjoy from the comfort of your couch. *If like me you’re a sticky beak and you’re wondering about the unusual title, Hare’s Fur, it’s the name of a type of glaze used in ceramics.